We've made it this far, we can continue on. And here's some listening material to help. 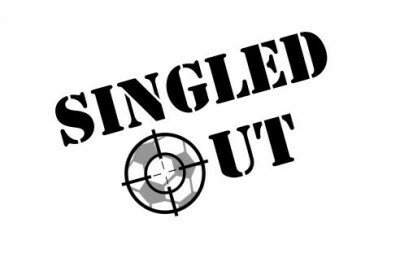 On the dial today we've got: Geeks of the North Episode 45: Colore ton Monde 2018; Game Classy Episode 165: Anime Girl Mailbag; Meeples & Miniatures Episode 249: UK Games Expo 2018; Singled Out Episode 69: An Interview With A Perkins Part 1 – vSakana and vChisel; Singled Out Episode 69a: Bonus Episode – The Joy Of Painting; Chance of Gaming Episode 109; Epic Gaming Night Episode 159: Upcoming! 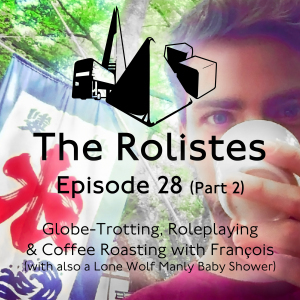 ; The Rolistes Episode 28 (Part 2): Globe-Trotting, Roleplaying & Coffee Roasting with François (with also a Lone Wolf Manly Baby Shower); Rolling Dice & Taking Names Episode 146: History of the World, Dragon Castle, Gorus Maximus; The Cardboard Herald Episode 84: Owen Duffy, The Man Behind The Board Game Book; Lords of the Dungeon 16: Players Knowing More than the GM and Things We Could Improve Upon in Our Roleplaying; Playin’ and Slayin’ Episode 17: Rising Sun Vampire Brew; and News of the North - 2018-06-19. 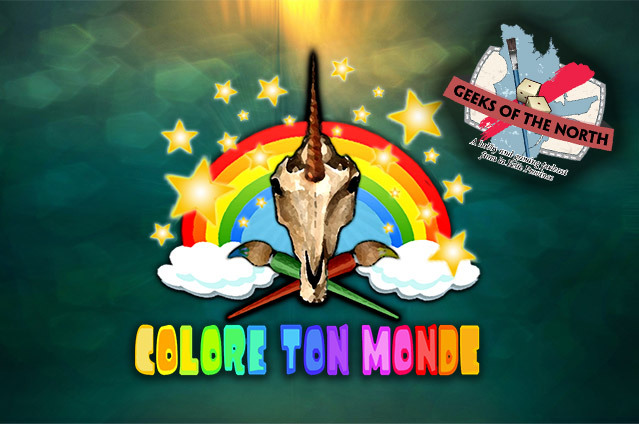 In this episode, Paul and Antoine do some hobby and catch up on their recent painting and games, then go into details about the upcoming painting event Colore ton Monde. So sit back, relax, grab a paintbrush and enjoy the show! The boys dig deep into the mail sack to discuss as many topics as possible and still not really say anything of importance. In this episode Neil Shuck and Mike Hobbs are joined by Dave Luff (yes, he’s back!) and Josh Langley-Shuck to chat about their recent visit to the UK Games Expo 2018. In this episode Andrew talks to Jamie Perkins about Veteran Sakana and Veteran Chisel, and how they fit into the fishermen and masons guild. This is a BONUS EPISODE! This episode was originally released mid-Autumn for our Patreon subscribers, and I have released it as an example of some of the content that is released. Epic Gaming Night Episode 159: Upcoming! Roy and Rob talk about upcoming games and what they have been playing! Second and final part of our double feature episode combining first an interview with François, a coffee-roasting and globe-trotting tabletop RPG fan, and second a “I swear we didn’t drink anything” manly baby shower playing “Lone Wolf Adventure Game” box-set by Cubicle 7 with Haqadosch, Simon & Carlos. In 1991, Avalon Hill published the game History of the World. Looking back at pictures of this game, you can just imagine what people thought of it. You have this huge sprawling map, little miniature armies, plastic cities and fortifications, and dice. I would have seen this and gone, why would I want to play another type of Risk. But we fast forward to 2018 and Zman Games is re-releasing it. The armies are just normal colored Sorry styled pawns, the board is still incredible, there is a catapult and dice. And once again, I would ask why do I want to play another type of Risk. But I am glad that I did. I am now wishing I had the original from 1991. Instead of those stupid baseball cards, I could have been buying this game and playing at the apartment. Where is that time machine to go back and tell myself to pick this up. Sell that Ken Griffey Jr. Upper Deck card and buy this. Who is this man who is so audacious that he would deign to create THE BOOK OF BOARD GAMES?! Owen Duffy, of course. Owen's book chronicles and explores some of the years biggest and most interesting tabletop gaming related moments including coverage of games, creators, and events; with the hopes of doing new editions each year. The book is on Kickstarter RIGHT NOW! The Gang is on the way to Origins Game Fair but the show must go on! 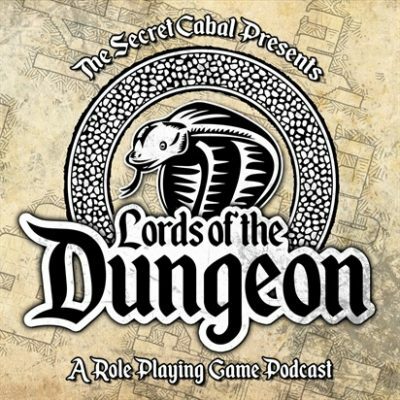 Today we talk about our new Dungeons and Dragons Forgotten Realms campaign and the characters we'll be playing. Then we take a question from a listener who asks how we handle players knowing more about a setting than the Game Master. Finally the Lords have a round table table discussion about things they could improve upon in their own roleplaying and game mastering. 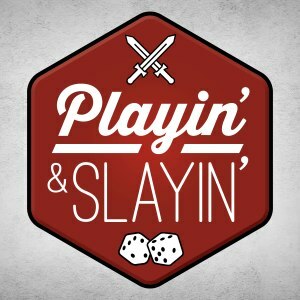 This episode the trio review Rising Sun, Ty recalls his adventures at NashCon, and the guys assess progress on their gaming/hobby goals for the year. They also take a look at the miniatures boardgame Vampire Hunters and in the Play It or Slay It segment review the Brew Crafters Card Game. 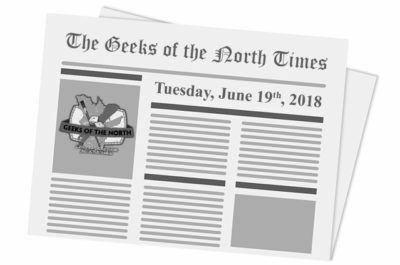 The June 19th, 2018 edition of News of the North is now live. Here's our weekly selection of interesting news items in the miniature wargaming world. 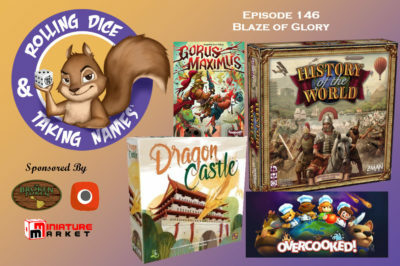 We talk about Games Workshop, Neko Galaxy, Bigchild Creatives, Tabletop World, Privateer Press, Warlord Games, MOMminiaturas, Arena Rex, North Star Military Figures, Mythic Games, Ouroboros Miniatures and MODIPHIUS.